Bono is talking to Joey Ramone. Over late night drinks in New York some years ago, he tells Joey a story from U2’s past. The teenage four piece, still in school in Dublin, are dreaming big and pulling stunts. They hear about some big, important film director coming to their school looking for extras to appear in a film adaptation of James Joyce’s A Portrait of the Artist as Young Man. At this stage U2 were only a covers band, still learning to play their instruments. But they go up the big, important film man and say they want to show him how good their songs are and maybe, if he liked them, he’d get them on to a local TV program. U2 played two Ramones covers. The man was impressed. “Did you write these songs?” he asks. “Yes!” replies Bono. U2 got on TV. The Irish super group have just had eleven songs from their new album, Songs of Innocence, go out free to 500 million iTunes users. It’s been almost 40 years since U2 ripped off the Ramones, and today they’re paying tribute. On stage, Bono is not that different from the hyper-active 16-year-old bouncing off the walls of a Dublin school, and willing to do anything to get his band a break. His hair is shorter, waistline slightly wider, the clothes a bit more fitted. But the passion and performance that so enraptured (conned) a film director in 1976 is doing a similar job for the great and good of Silicon Valley in Cupertino, California today. The song is called “The Miracle (of Joey Ramone).” It is about what happened on the night of September 24, 1977 in a state cinema on the north side of Dublin. For the second time, U2 cheated on the Ramones. Flat broke and without tickets, the young Irishmen turned up outside the Dublin venue, an hours walk away from home, where the Ramones were playing. They had come to sneak in, but it was an act of pilgrimage for the four fledgling band members nonetheless. A neighbor of Bono’s had taken the trouble to actually pay for a ticket. A plan was hatched: at a pre-arranged time the neighbor would go to a fire exit inside the theater, open it and let the U2 quartet in. In the Green Room in Cupertino, after singing about the miracle of his mentor on the stage moments earlier, he takes up the story. To take one step forward with this new album, Bono had to take two steps back. First back to his childhood home in Cedarwood Road on the north side of Dublin, and second to the two gigs he saw as a teenager that made U2 less of a dream and more a work in progress. Such was the shock and awe of rock ‘n’ roll those two nights in Dublin. 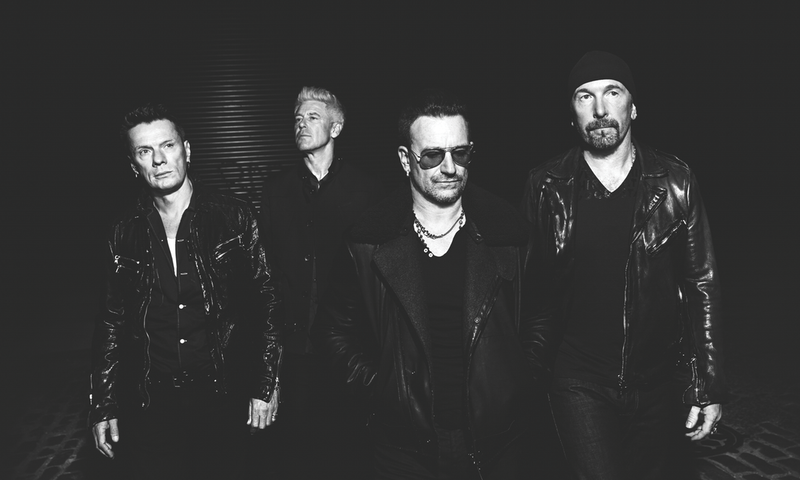 Some 40 years down the line, in the intervening period, U2 became one of the best selling rock bands of all time – not to mention running the highest-grossing tour in history. Bono is either grinning broadly or outright cackling with laughter when he recalls the band’s early days. “The thing is that there were better bands than us in Dublin back then – bands who looked better, played better, wrote better songs but what we got from the Ramones and The Clash was that you could just pick up a mic and say something through your music. We just did it there a few moments ago by playing ‘The Miracle (of Joey Ramone).’ It’s still the only reason U2 exists today,” he says. Bono can talk you under a table – he’s someone who could talk his way out of a firing squad – and today in California he’s found his rhythm early on. He picks up on the ‘there are much better bands than U2′ theme – a fact he’s lived with for the last 40 years. Whatever abuse has been thrown at Bono and U2 over the years – and there has been volumes of it – Bono has always thought worse stuff about himself. People hear what they want to hear with Bono: the strutting rock ‘n’ roll megastar in his shades, the savior of the universe, the healer of all global ills. But take away the backdrop of 80,000 screaming fans, the glossy front cover features and having the world’s most important political leaders on speed-dial on his phone, and he’s still that self-loathing Dublin teenager, lying to film directors, cheating into gigs, worrying himself sick that his ‘girl’s voice’ is hurting the band. There’s a very good reason the band played this song today – their first live gig since the 360 Degree tour, which ran 110 dates between 2009 and 2011. Outside it’s America, but inside this windowless room Bono is set adrift on memory’s bliss, back on the Dublin streets of his youth. “But bad things happened also,” Bono says. 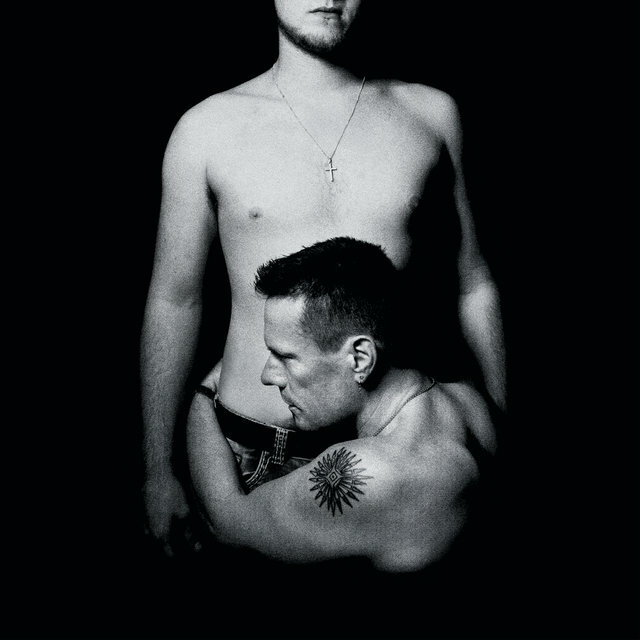 By going back to his past on this album, Bono is trying to make sense of U2’s present and future. It’s time to wrap it up. Brian Boyd is a feature writer for the Irish Times who pens the weekly music column The Ticket. His work has appeared in many international newspapers and magazines. In broadcasting he contributes to the BBC, RTE, Today FM, Newstalk and many other radio stations in and outside of Ireland. He’s been served tea by Morrissey, he’s had lunch cooked for him by Bono, and he’s sung karaoke with Eminem. He wants to be Paul Simonon when he grows up.